Harvest Festival! October 20 starting at 3pm! It’s that time again and it is going to be great this year! 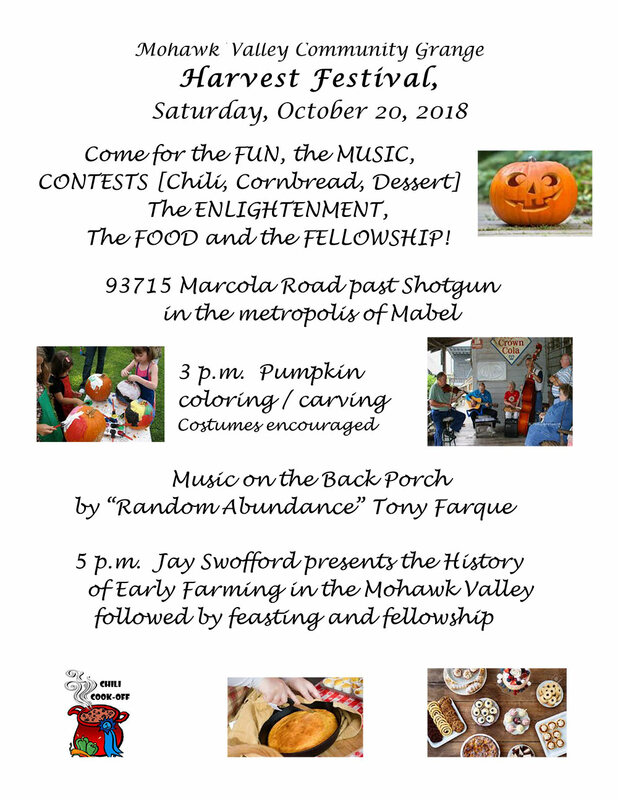 Harvest Festival featuring Chili & Pie Cook Offs! At this years Harvest Festival we would like to put on a Chili and Pie Contest. Participants will need to bake and bring at least one delicious pie or at least 4 quarts of their best homemade Chili. Attendees of the festival will get to sample all the entries and then will vote for the winners. Prizes and bragging rights go to the winners! Great fun and food for all go to everyone. ** Please bring your chili in a crock pot or insulated dish since it may need to be kept warm for a while. Fire up your stoves and ovens and let the cooking begin!